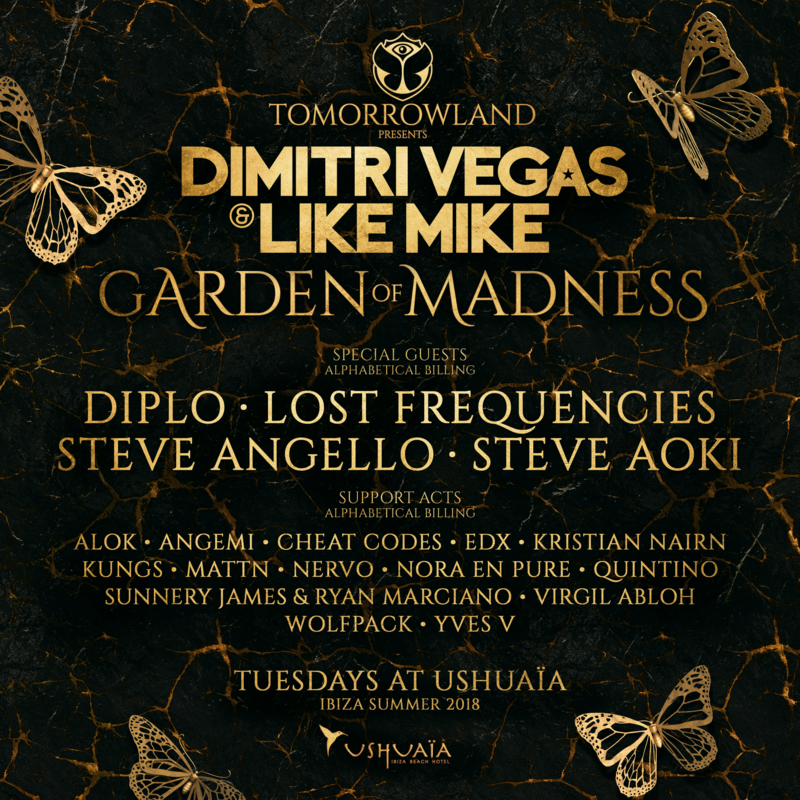 Dimitri Vegas & Like Mike return to Ushuaïa Ibiza this summer with another season of The Garden of Madness. It will be nothing short of spectacular this summer, as the open-air club is transformed into a wondrous display of lights, sounds, and stage designs. The DJ duo have unveiled an incredible lineup of acts who will join them in a totally new and magical décor. 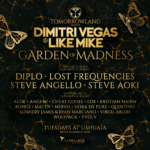 Rounding up the industry’s most-respected DJs, the Garden of Madness welcomes long-time legends Diplo, Steve Aoki, Steve Angello, and Lost Frequencies, while presenting the hottest trending talent including Off White Fashion designer Virgil Abloh, Alok, Kungs and Sunnery James & Ryan Marciano, just to name a few. The full line up of acts supporting Dimitri Vegas & Like Mike from June 19th to September 18th can be found below. Tickets can be grabbed here.